Marginalisation is a real problem faced by many if not all virtual teams at some point. However you structure your virtual work teams, you will almost always find some groups who feel they have more and some groups less control over the way the project is run. 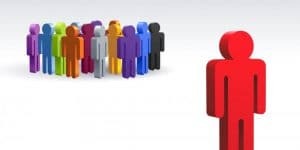 There will be groups who get all of the messages and groups who get only some, large groups who can operate self sufficiently and small groups who can’t. In amongst all of these combinations of groups, you will have some who operate at the centre of the operation and those on the margins. Virtual team margins can be geographic, temporal or technical, but whatever their form, they are always there and must be consciously managed and controlled to keep your project on track. Losing the engagement of personnel to a sense of marginalisation is a risk no project should allow to occur. 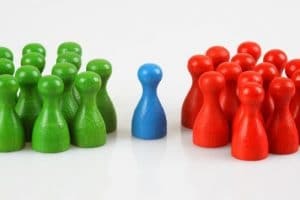 When personnel start to experience a sense or perception of marginalisation, they begin to behave in ways that are either contra to the best interests of the project, or at least not directly aligned with the projects needs. Usually this is not a conscious or malicious reaction, simply a survival instinct kicking in to help the personnel experiencing this sense of marginalisation to believe they have a purpose. These personnel may react in one of several ways, usually preceded by some form of a plea to the project leadership or their line management to be allowed to be more engaged. They may try to do what they believe is the best for the project, this may be right or wrong when judged against the central view of the project goals but at least they would be trying. They could, simply, mark time, doing minor, less contributory tasks they know to be in the interests of the project but not necessarily the absolute best use of their skills and time, or they could actively resist the central views of the project, through either leaving the project to seek more engaged, less marginalised roles elsewhere or, in the worst case, actively sabotaging the activities of the project through resisting efforts from the project’s management to direct their and others efforts. While it is far better to work to avoid marginalisation in your projects from the outset, through actively engaging with all of the teams and groups that form part of the endeavour, even with the best of efforts from all concerned, it is likely that any large project will, at some time, have some personnel who feel disenfranchised or marginalised from the collective effort. When this marginalisation happens or starts to become apparent it is, I believe, vitally important that the thoughts and feelings of those feeling excluded are taken very seriously. If their marginalisation is occurring as a side effect of some other project strategy, change the strategy as much as possible to reincorporate the marginalised personnel back into the project, this could be things such as changing the timing or format of a regular meeting so that they are able to participate more fully or be more engaged with the discussion, it could also be to change some of the assigned tasks so that the larger groups on the project are forced to deal more inclusively with the marginalised party, whatever happens though, something must be done to include these disenfranchised personnel back into the job before the relationship fails completely and they go from feeling last out but wanting to participate to the point where they actively disengage from the project either mentally or physically. Do you have any experiences with marginalisation in a virtual team you would like to share? If so, we would love to hear from you.